Recipe management software with nutrition analysis, meal planning and much more ! Digital Cookbook Standard Edition is a great cooking software with a lot of features and capabilities. With Digital Cookbook you can easily store and organize your recipes in groups. Also, you can easily retrieve them from your local database using powerful search engine. You can search for recipes by the name, time needed for cooking, number of servings, or even by the nutrients contained in them. 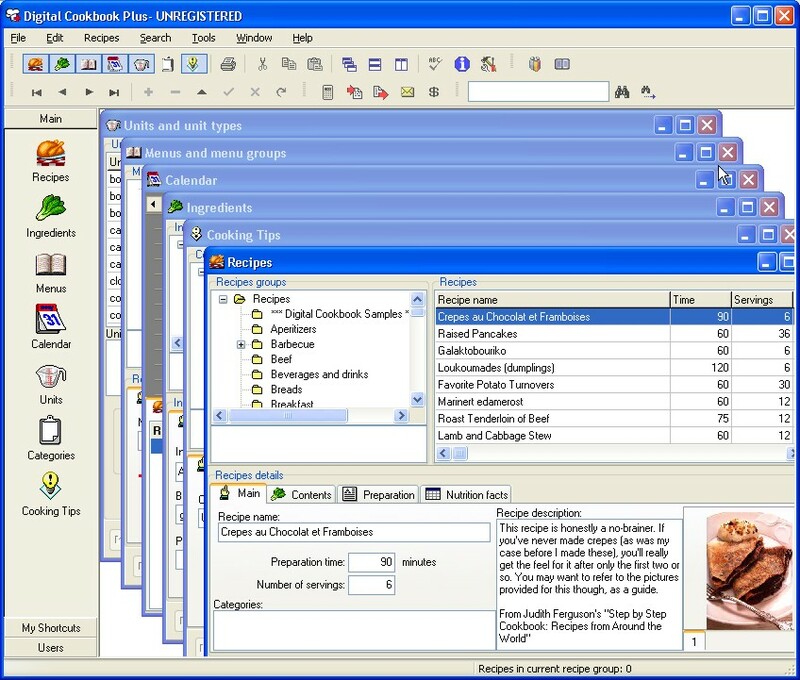 Organizing recipes into recipe groups, adding, editing and deleting recipes, moving recipes and groups from one group to another using drag & drop. 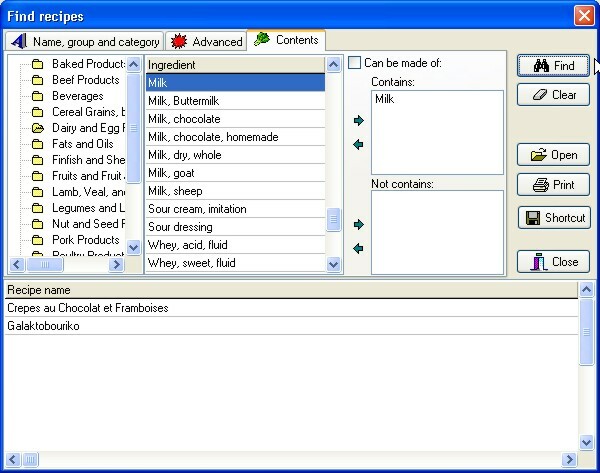 Organizing ingredients into ingredient types, adding, editing and deleting ingredients, moving ingredients from one type to another by using drag & drop. 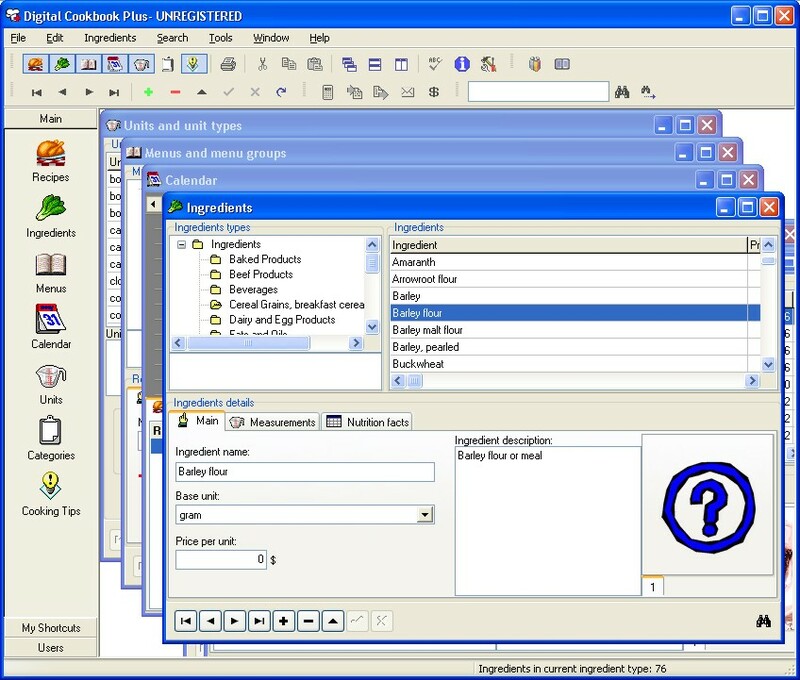 Organizing recipe menus in menu groups, adding, editing and deleting menus, moving menus and groups from one group to another using drag & drop. Adding, editing and deleting measurement units in which you want to express ingredients in your recipes. Calculating nutrition facts per one serving of selected recipe, based on nutrition facts for 100g of contained ingredients. Calculating menu costs, based on entered ingredient costs. Very useful for creating shopping list and costs planning. Powerful search engine for searching recipes and ingredients, by entering various search criteria (string pattern search, search by nutrition facts, search by ingredients contained). .
Printing with print preview of recipes, ingredient and menus. You can print single or multiple recipes and ingredients in reports, choosing whether you want to show pictures and nutrition facts or not. Also, you can print menus with all ingredients needed for recipes contained in selected menu and thus to create grocery shopping list. All printing reports can be customized! 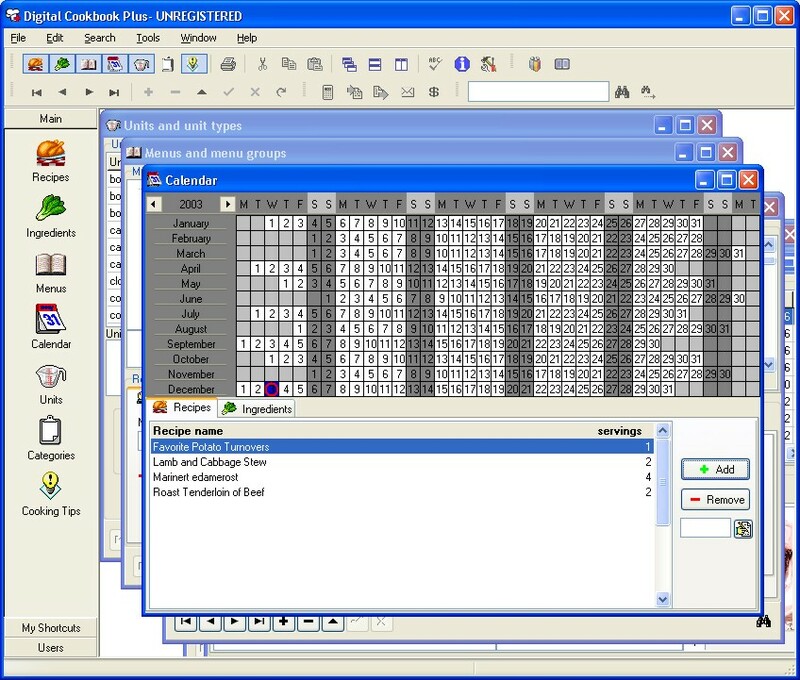 A lot of customizable options: main window position and background color, toolbars, reports, and even a policy for keeping database integrity, and all of that in very simple, understandable and user friendly interface. 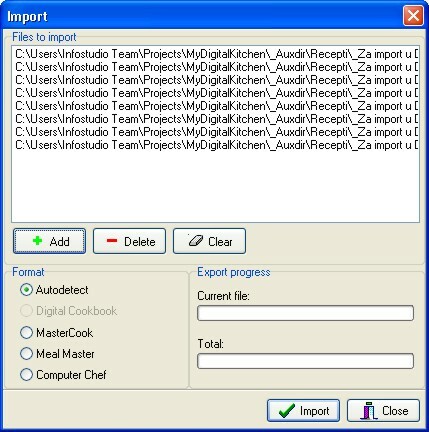 Importing recipes from three most popular recipe formats: MasterCook, Meal Master and Computer Chef. Exporting recipes to above mentioned format and also into HTML, for publishing on Internet and into Microsoft Word format. Sending recipe to mail, using your default mail client and good, detailed help for every form, menu and toolbar item and also for standard procedures in working with application. Organizing cooking tips groups, adding, editing and deleting cooking tips, moving cooking tips and groups from one group to another using drag & drop. User management and diet progress tracking taking note of all relevant user's measures, calculating body mass index, fat percentage and other factors (NOTE: only in Plus version). 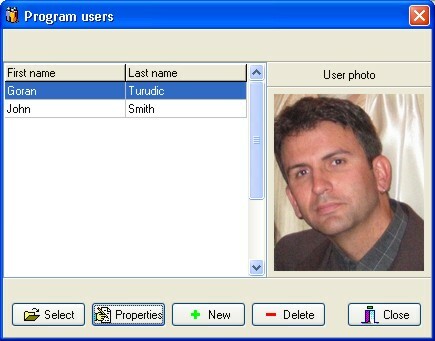 Kitchen assistant, an office-like assistant who helps users get information about application (NOTE: only in Plus version). Viewing user's diet progress in calendar and in chart (NOTE: only in Plus version).